When it comes to modern healthcare, few fields are more in-depth, complex, and largely unexplored than that of mental health. Not only are new strides being made in the field, almost on a daily basis, but the field itself is an extremely sensitive subject that requires a tentative and unique approach. 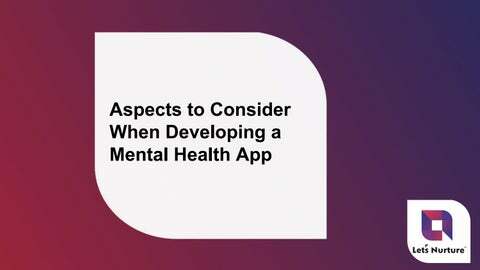 The subject is complicated further when attempting to develop mental health apps, as many more issues arise with this process than with any other health app development. We at Letâ&#x20AC;&#x2122;s Nurture â&#x20AC;&#x201C; Top Android application development company, believe that a mental health mobile application, or mHealth app, must be able to aid and motivate its users with every aspect, right down to its very design, as any problems may cause users to feel isolated or that the app is unhelpful or untrustworthy. Itâ&#x20AC;&#x2122;s estimated that over 1.1 billion people worldwide had a mental or substance use disorder in 2016. The largest number of people had an anxiety disorder, estimated at around 4% of the populationreports Our World in Data. Therefore, there are some questions youâ&#x20AC;&#x2122;ll need to seriously consider in order to have a hope of success in catering to a wide range of comforts and preferences for the development of a mobile application. Who is Your Target Audience? The first question any healthcare app developer should ask themselves is “who am I making this app for?” as this will determine many of the aspects your app contains. Behavioral and emotional disorders are a worldwide phenomenon, and the disorders themselves can range from anxiety and depression to addiction recovery. In addition to this, you may choose to cater to the younger generations, the older, males, females, the LGBTQ community or a combination of any of the aforementioned. Furthermore, you should determine where your target audience is, as this will also greatly affect your app’s success. According to the Anxiety and Depression Association of America (ADAA), at least 40 million individuals in the USA aged 18 or older are afflicted with an array of anxiety disorders. According to the UK company, onefourzero, mHealth apps have risen in popular demand by over 500% in just the past four years. Finally, even individuals with a clean bill of mental health are benefiting from mHealth apps and improving their everyday lives. Needless to say, there is no shortage of popularity when it comes to mHealth apps with a wide range of demographics to choose from. What Will Your App Do to help the targeted audience? There are a variety of mHealth apps with different purposes and functionalities, and youâ&#x20AC;&#x2122;ll have to decide what category yours will fit into before you can begin developing it. There are three major categories to consider: Mental disorder apps, Mental self-improvement apps, and General mental health apps. These apps are tailor-made to help with mental disorders such as depression and schizophrenia. The hallmark of these apps is their connectivity services, connecting people to medical professionals, therapists, as well as individuals and groups suffering from the same conditions to build a sense of community. Although these apps are not recommended to be fully relied upon, they are an effective tool when used in conjunction with traditional therapy, as they provide a constant inlet of support where therapy only lasts for as long as the session does. What Will Your App Do to help the targeted audience? B) Mental Self-Improvement Apps: The absence of a mental disorder doesnâ&#x20AC;&#x2122;t mean an individual is without issue, and mental self-improvement apps aim to address these issues. What makes these apps unique is that they can be divided further into three more sub-categories: Self-awareness apps, apps for addiction recovery, and stress & anxiety apps. As the titles imply, self-improvement apps cater to individuals who would display a clean bill of mental health but are still experiencing debilitating mental issues. C) General mental Health Apps: These are the apps that are built to cater to as many people as possible, usually by connecting them with professionals, whether they have a mental disorder or not. This can take the form of scheduling appointments with local doctors, or simply setting up time to talk to a licensed therapist via text, voice, or video conference. How Will Your Mental Health App Be Effective? So far, you’ve selected an audience, and you’ve decided what you want to do for them, however, now you have to figure out how you’re going to accomplish that feat. Luckily, there is a multitude of tools and techniques you can use such as forums, games, customization, mood training, acceptance-commitment therapy, and cognitive-behavioral therapy. In addition to this, there are multiple ways to implement these practices to make your app as effective as possible. Often, a person suffering from a mental disorder, or even just from everyday stress, can feel alone and isolated, so connecting them with other people can be highly beneficial as long as space is safe and as confidential as possible. The ability to share thoughts and emotions helps people connect with friends, family and even support groups to help build a sense of community in order to abolish the feeling of isolation. The added advantage of support groups is that everyone in the group is experiencing a similar problem, so everyone has a more in-depth understanding than a bystander ever could. You can make your app more social by adding in forums, support groups, instant messaging, and voice & video calls. How Will Your Mental Health App Be Effective? B) Make it Memorable: The thought of constant notifications can often seem like an annoying, even stressful feature, but in the right dosage, reminders can encourage the continued use of your app, as well as good habits such as self-reflection, relaxation, and regular exercise. Sometimes users busy themselves so much, that a simple reminder to relax can improve their entire day. Additionally, encouraging regular self-reflection is an ample method of combating mental and mood disorders alike. C) Make it Professional: Sometimes, simple tools simply arenâ&#x20AC;&#x2122;t enough and it's time for a professional to step in. As such, itâ&#x20AC;&#x2122;s important to have a method of contacting a professional whenever the need arises, meaning 24/7 available service. Utilizing additional services should also be considered, such as pre-screening surveys and journals to match a patient with the therapist best suited for the job. D) Make it Private: Finally, and most importantly, any data in your app should be locked down tightly in order to protect its users, as one of the top concerns in regards to mHealth apps is that of security. Inputting regulations for therapists, encrypting data, and adding secure access via usernames, passwords, etc., will help put your users at ease and prevent any future problems. We have a decade of expertise in developing healthcare and wellness apps. We quote a very realistic and affordable development fee. Because of our internal quality processes, we guarantee app approval on iOS and Android. 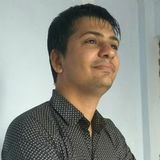 Flexible engagement models to hire dedicated web-mobile development teams with no hidden costs. We offer app developers, UI/UX designers, product managers, and business analysts All in one team. We help you out from ideation to wire-framing, to adding strategic features, to iterations and finally to launch. If you have a brilliant idea to develop a user-friendly Android/ iOS health app with attractive UI, we would love to shake hands with you for a good cause! Talk to our industry experts now.